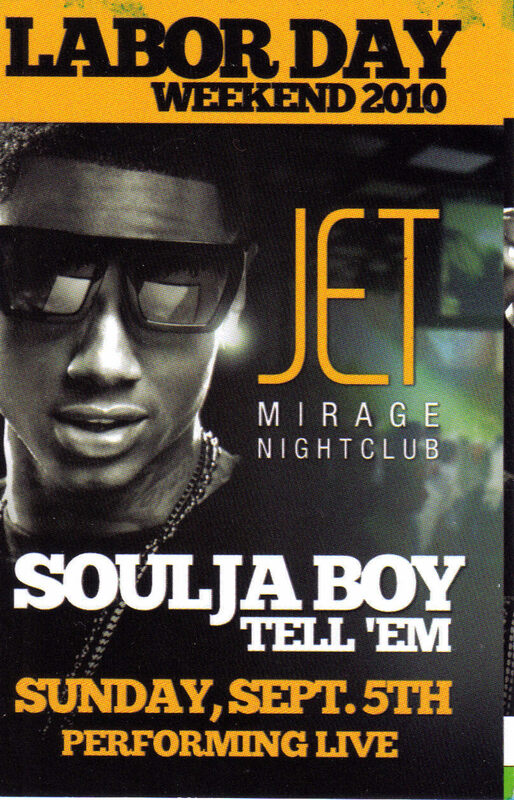 This is an expired VIP card issued by JET Mirage Nightclub in Las Vegas for SOULJA BOY performing live held Labor Day Weekend 2010. Card size: 4" L x 3"W Mint Condition Back and front are same. Send email if you need additional details about this card. Buyer is responsible for 1.00 shipping anywhere in the USA. Do check this store for lots more Las Vegas Collectibles. Thanks for stopping by!